This has to be more than just a review of Tsh Oxenreider's Notes from a Blue Bike: The Art of Living Intentionally in a Chaotic World; I found the book so inspiring that it's a big part of why I'm writing here at all. I first became familiar with Tsh Oxenreider through her blog, The Art of Simple (formerly Simple Mom), I used to read a ton of blogs and hers was always full of great tips for relatable situations. I've also read another book by her, Organized Simplicity: The Clutter-Free Approach to Intentional Living (which is available to borrow for free if you're an Amazon Prime member). You may be noticing a theme here, simplicity and intentional living. I think a lot of us would like to be more focused on those things but just can't seem to do it. Oxenreider's books are a great place to start if you need help or inspiration along the way. In fact, I plan on reading Organized Simplicity again and really implementing her advice this time around, last time I read it I only had one baby and it was much easier to be clutter-free back then. While they do share some common themes, these two books are very different. Organized Simplicity is what I would call a guide and Notes from a Blue Bike reads more like an inspirational diary. 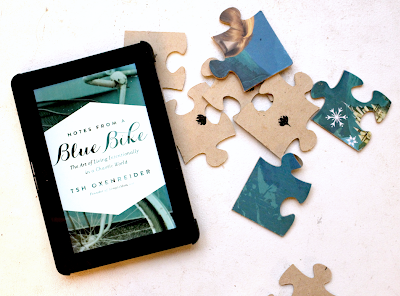 Throughout both books you see what a great writer Oxenreider is and Notes from a Blue Bike starts with a forward by Ann Voskamp, who I believe to be one of the best Christian writers of our time. I just love her style. In Notes from a Blue Bike, Oxenreider talks about her time overseas both before and after starting her family. She shares her thoughts on life decisions through that time and what it was like living out of her comfort zone in foreign countries with and without kids and the importance of travel for the whole family. 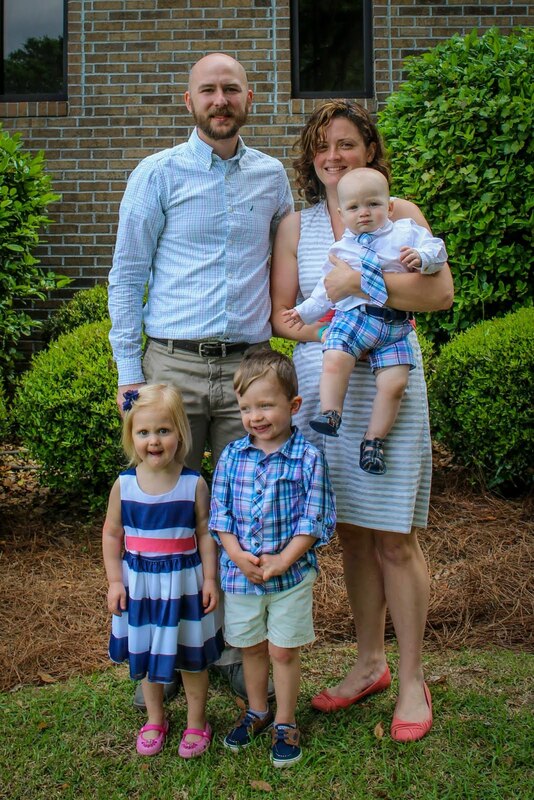 We get some insight into her decision to homeschool and not homeschool with the lesson that you just have to decide what's right for your own family in the time and place that you are living now. She teaches her readers how small moments and daily decisions matter on your journey to living intentionally. I feel like I'm really not doing this book justice at all. It's hard to write with an almost 3-year-old wiggling around in your lap, but Oxenreider, I'm sure, has been there too. That's part of what I loved about this book, I felt like I could be her, she could be me. I'm fairly confident in saying that I would not be writing here today if it weren't for reading this book a few weeks ago. Is it possible that this review is too positive? If I were to say one bad thing about Notes from a Blue Bike, it would be that it's not well organized. That seems crazy since it's written by an organizing guru, but it just seems like it doesn't have a flow, partly because it doesn't follow a linear timeline. I think that's part of the diary feel of it though, well, except that diaries are day-by-day. Trust me, it makes sense, ha! I feel like I'm just blabbering now. Anyway, I loved this book. People who would enjoy this book include (but should not be limited to): moms, writers; those interested in Christian living, living a simple/intentional life.